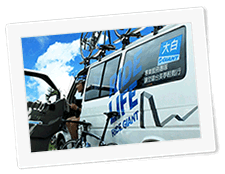 Ride life/Ride Giant, what Giant Adventure wants to express is a complete new way of life. 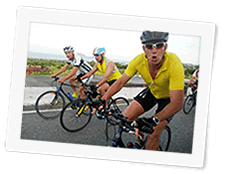 Our mission is to become the provider of the best cycling tours around the globe. 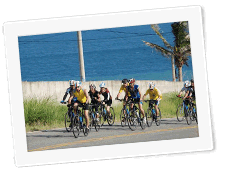 As a trust worthy friend for cyclists to count on, we provide the best and most detail services available, empower rookie cyclists to crush their cycling obstacles, and help you enjoy the fun and challenging cycling tour with ease. In the meantime, Giant Adventure also has the most flexible customized tour services and secret trails database available for any veteran cyclists to experience the charm of their high end bikes, the sense of becoming one with bikes, and the thrill of owning the life. Since established in 2016, Giant Adventure has provided our services to more than 1,500 cycling tours with a total of 51,000 customers. The abundant service records are deeply appreciated by our customers; they treated Giant Adventure like friends with sincere and enthusiasm. 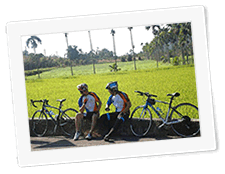 Giant Adventure is your first choice for cycling tour. Giant Adventure provides complete services including cycling services, accommodations, and Giant high-end bikes. 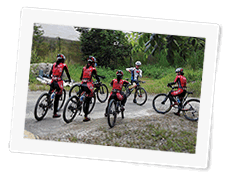 Experienced leaders, group controllers, and each of our service staffs are cycling enthusiast; they understand your needs, provide service with empathy. The professional support van solves luggage problems, eliminate technical troubles, and keep our customer energized with refreshments during breaks. Through the integrated service of pre-tour training, riding technique learning during trips, and event multimedia CDs after the tour, you can relax and enjoy the trip in your own way. Our missions: Fulfillment, Exploration, Joy, Touching, and Relaxation; We sincerely welcome you to ride with us, cycle around the world and enjoy the freedom of living!! Get to know yourself all over again, have the most fascinating experiences and sincere partner interactions; here, happiness is so easy to reach. We believe that these best hours and life experiences would be your most unforgettable memories. 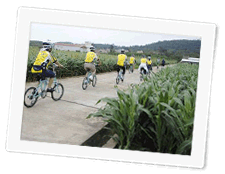 Giant Adventure has many domestic and international cycling tours for you to choose. With a group of 15 people, you can create wonderful cycling memories with your friends; pick the time and location and let Giant Adventure make it happen for you! Cycling trip make easy, provide you with over NTD20,000 worth of Giant bike and safety helmet; all you need is your own clothes. Experienced and enthusiastic professional leaders, the success of a cycling tour lies in the quality of group leaders; what Giant Adventure gives you are well trained leaders, group controllers, and each of our service staffs are cycling enthusiast; they understand your needs, provide service with empathy. Therefore, regardless that you are a beginner, fan, or even enthusiast, we will be the best companion for your journey. To taste local cuisine and experience those secret trail beauties, we lead you through the tour like a local travel expert, bring you nothing but surprises. 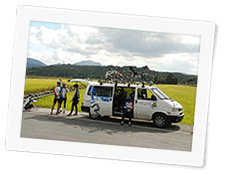 The only government authorized travel agency both experienced and focused solely on cycling tours.